It’s hard to believe that anyone still cares enough about this story to even read what I’m about to tell you, but here at Cinema Blend we love a good niche crowd… wherever you are. So for the one or two of you who may actually be interested, here’s some good news: Punisher: War Zone will not be PG-13 as previously rumored, but will in fact be rated-R. Unfortunately that still doesn’t do much to change the odds that it won’t be any good. Steve also insists the movie will be good, but then he’s working on it so his opinion isn’t exactly unbiased. I’m not sure that it even matters if it’s good, it could be better than The Dark Knight and I don’t think anyone would be interested in seeing it. 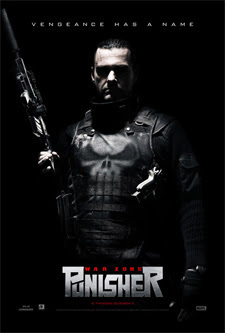 Two shots at making a viable Punisher movie was more than enough. That goes for anything by the way, not just Punisher. Captain America for instance has already had one crummy movie. He only gets one more shot before we all write him off. If Tim Burton’s first Batman movie hadn’t worked, we wouldn’t be swimming in Dark Knight fever right now, since that was Bats' second shot at stardom after the messy version done by Adam West and Burt Ward. It’s not fair, especially to Lexi Alexander who probably isn’t being given a fair shot to make this thing, but that seems to be the way the wind is blowing out there, whether it’s fair or not.